Eh… the movie looks great and the show is awesome. It’ll be the tiniest sliver of disappointment! Does Yo Yo survive Season 5? I think she’s toast. Do we even get a season 6? LOL. She dies in the comics though… and all that invincibility talk in the last episode has me thinking one of them is going to die and that will help invalidate the timeline. No way they kill Fitz or Simmons, well unless this all has something to do with Thanos snapping his fingers with that glove on?! Anyway, RE: Arrow, I still dig the show and the people on it. Mad Dog has become one of my favorites. He should stick around. Mad Dog has become one of my favorites. He should stick around. I liked him a lot more last season, the writing for his character just doesn’t seem to fit with all that he’s been through with Arrow though. It’s super frustrating. I was watching Arrow, Flash, Legends, and Supergirl, and I was current up through the holiday break, but I’ve only watched one or two episodes of Arrow since then and none of the other shows. At this point I think I’ve missed episodes on all of them that are already gone from the CW app, so I’ll just have to catch up on Netflix when their seasons end. But it’s just too much. All four shows have had their ups and downs, so there’s no particular one I wish they’d cancel. After the first season, I’d have told you Legends was garbage and I wouldn’t miss it, but season two was an improvement and what I saw of season three was the best of the four shows this season. Flash has provided some of my favorite episodes, but this year it’s probably the worst. I would miss each of these shows if they were cancelled, but with three or four of them airing each week, I kind of cumulatively burn out on them. It’s not just the number of hours of TV, I’m watching more than just these shows. But some flaws the shows share (hello not being honest with the rest of the team) that I can endure on a show by show basis sort of amplify each other when it’s three or four a week. The flip side is stuff like the awesome Crisis on Earth-X, when having four of these shows concurrently plays to all their strengths and gives us the kind of awesome nerdy TV experience I never would’ve imagined. But it can’t be that all the time. So here I am looking at the news that all four will be back and just sort of shrugging instead of being excited. Realistically there are just too many great shows right now. We all know this. You have to pick and choose what you want to keep up with. SHIELD is a must for us along with The Flash. We’re most invested in those two as we just really like the concept and characters. I recorded Krypton and want to sit down with that because the Brainiac thing seems awesome. I just haven’t had time. There is simply too much superhero TV right now but it’ll be there later. Yeah, there are a lot of shows (everyone seems to like Gotham, for instance) I’ve had to avoid for now. Marvel’s Runaways is on Hulu and I could be watching it, but holy crap. So much TV. And I’m still making my way through a backlog of Netflix/Hulu/Amazon shows, as well. It’s crazy how much (and how much great) content is out there these days. I tell my kids all the time how lucky they are. In my formative years we got so little and often it left a lot to be desired. I keep up with the Marvel Netflix shows, S.H.I.E.L.D., I was keeping up with the CW shows (and will catch up on Netflix, as I said), I watched about seven episodes of Gifted, and I can’t wait for Legion. I also watched Runaways, and I’m not going to tell you not to watch it, but it is without a doubt the worst of any of the comic shows I watch. So I put the Arrow season premiere on in the background while I was doing some chores. It’s my least favorite of the CW shows any more, but I figured why not see if they’re doing anything interesting. Surprisingly, I actually thought it was decent, mostly because they’ve revamped the “flashback to the island” stuff into some kind of flashforward future thing. I’ll give a few more episodes a shot. Yeah, my son and I thought this was a really strong start for this new season, in many ways. There are still some dumb things in the writing that bug the hell out of me (almost always stuff that involves the Wild Dog character, though I do like that actor/character, the narration surrounding him is almost always nonsense). Oliver swinging a 45 lb. plate around wasn’t too shabby, either. Arrow used to be my favorite but have a hard time watching it now. I think Arrow Season 2 was the best out of the entire CW universe and I think overall Arrow has the most interesting overarching story of balancing humanity vs. being a hero. Unfortunately, the story falls short too often but the story has been solid when it’s on. This week’s episode with the documentary viewpoint was kinda cool. Not a new idea by any means, but I enjoyed the difference from the usual. Yeah, it’s been quite a few very strong episodes back to back imo. This weeks was the best of those, great episode. 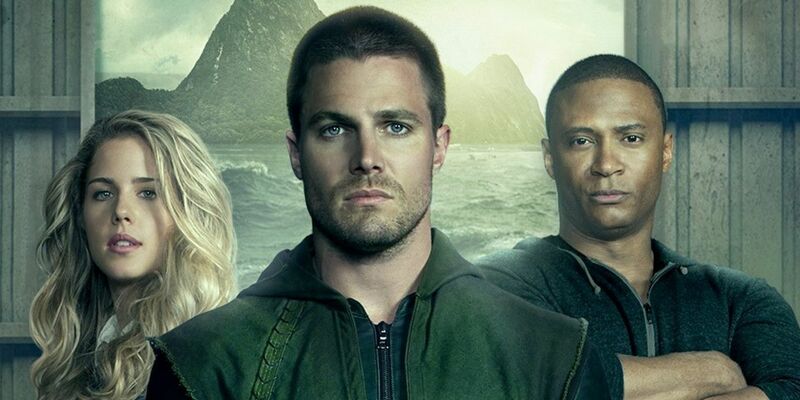 Arrow will come to a close after a shortened season 8 consisting of only 10 episodes. They probably should have ended it a couple of seasons ago, honestly. This one hasn’t been terrible but there was some bad TV in the last few seasons.